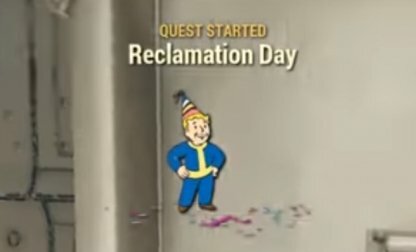 Check out this guide for a full walkthrough of Reclamation Day Quest from Fallout 76, including gameplay tips, guides, and more. 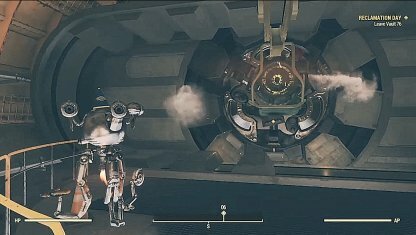 Once you walk out of its doors, Vault 76 will now be inaccessible to you. Make sure to take all that you can before leaving the vault. 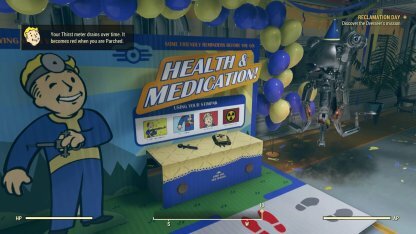 The sample supplies you can find in the vault will help you to survive in your first few minutes in the game. It also gives you a briefer on what the items are and their uses. Access the Overseer's Terminal and play or take the holotape. It's best to just take it and play it on the Pip-Boy so you can move while listening to the message. 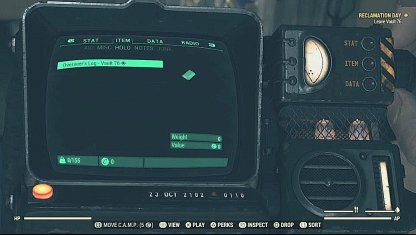 You can play Holotapes in the Holo tab in the Items Menu of your Pip-Boy.